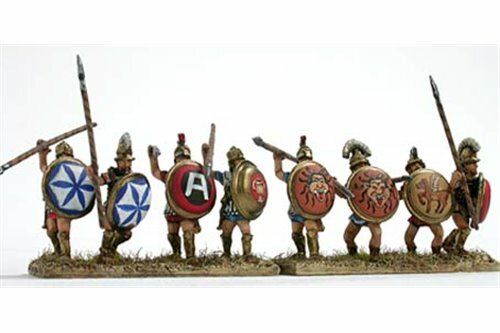 Etruscan 650 ﾖ 280 BC There are 13 products. 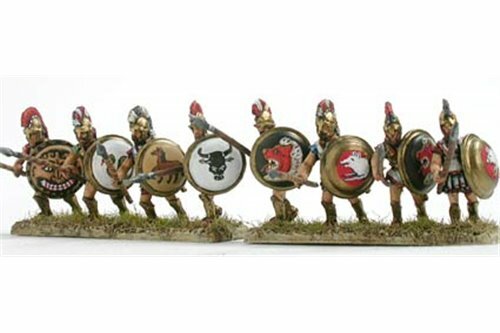 Hoplite, front rank, with spear and shield, attacking (5 variants). 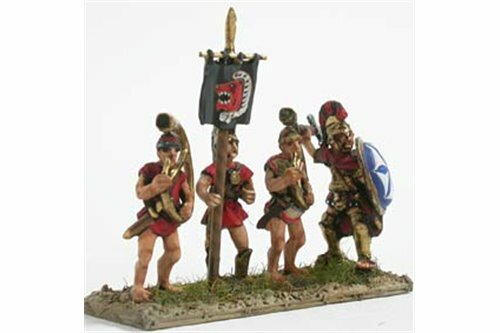 Hoplite, second rank with spear and shield, attacking (3 variants). 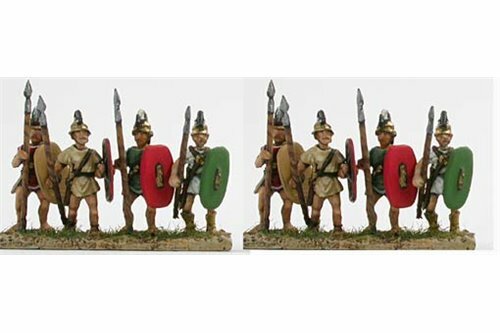 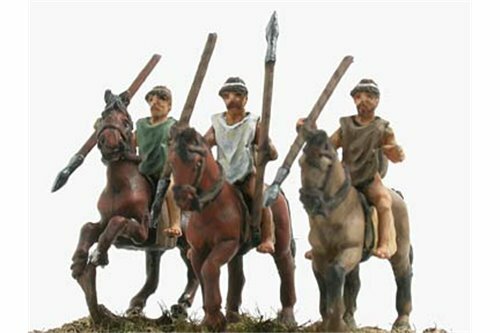 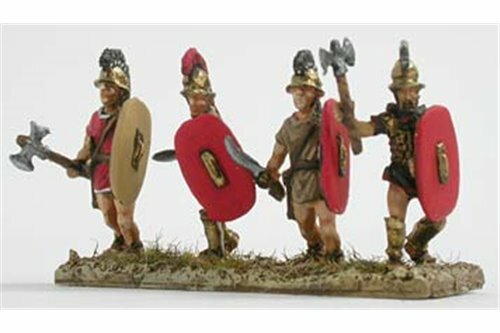 Etruscan infantry with Italian shield and lance (3 variants). 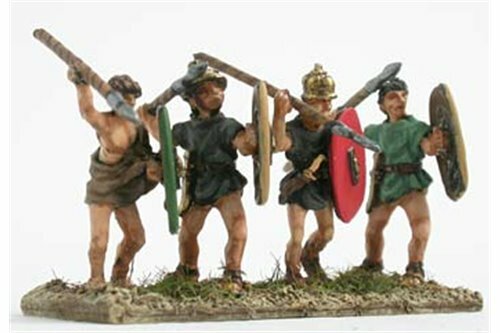 Infantry with swords and axes, attacking (4 variants). 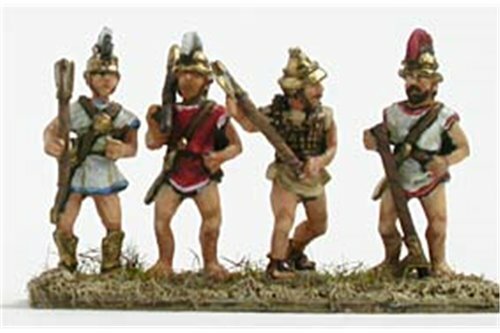 Light infantry with javelins (5 variants). 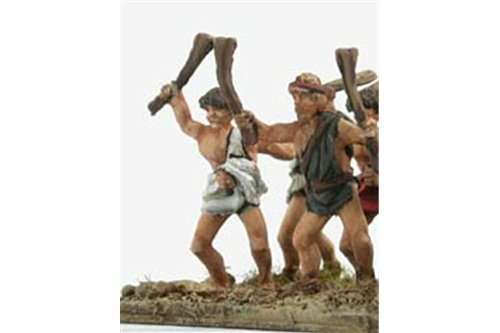 Bowmen and slingers (3 variants). 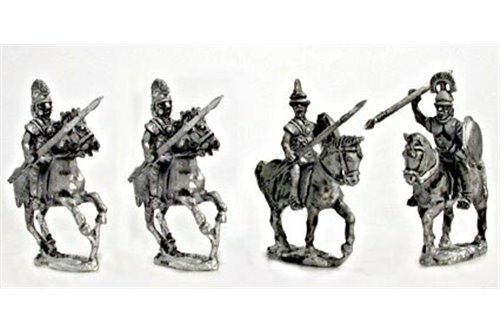 Every infantry pack contains 4 mixed miniatures. 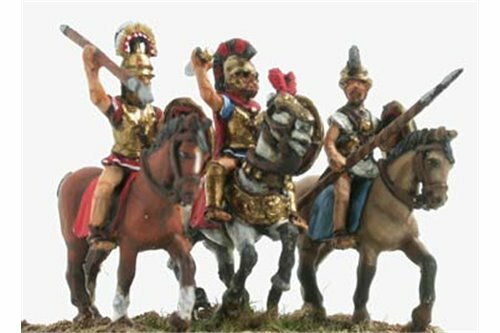 Cavalry command group (1 general and three different cavalrymen). 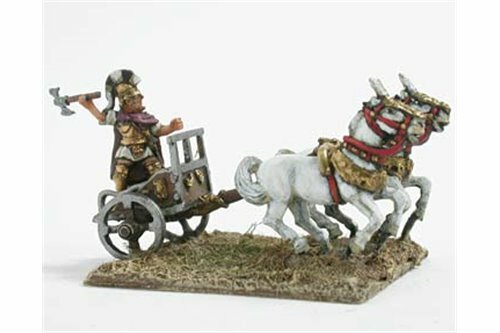 Light chariot with the King Porsenna of Clusium..